Hypertension or high blood pressure is a common problem and one of the biggest risk factors for heart disease. 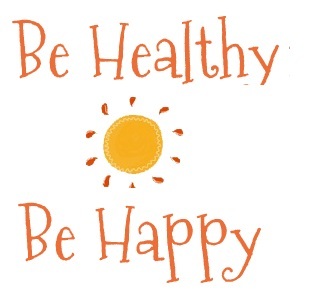 The good news is you can take steps to control it with a healthy diet and healthy lifestyle. But first, let us get to know this condition better! See, basically when the heart contracts and relaxes, the blood flowing through the blood vessels (arteries) pushes against the walls of these arteries as it courses through our body creating blood pressure. Now, when the blood pressure is consistently high, it is called high blood pressure or hypertension. When this happens, the walls of the arteries become slack and eventually hard, losing their flexibility. This means the heart must work harder to pump blood. And this makes it weak, putting it at risk for heart disease and stroke. Normal blood pressure in a healthy adult is 120/80 where 120 is the pressure generated when the heart pumps blood or contracts and 80 is the pressure in the blood vessels when the heart takes a break between heart beats. 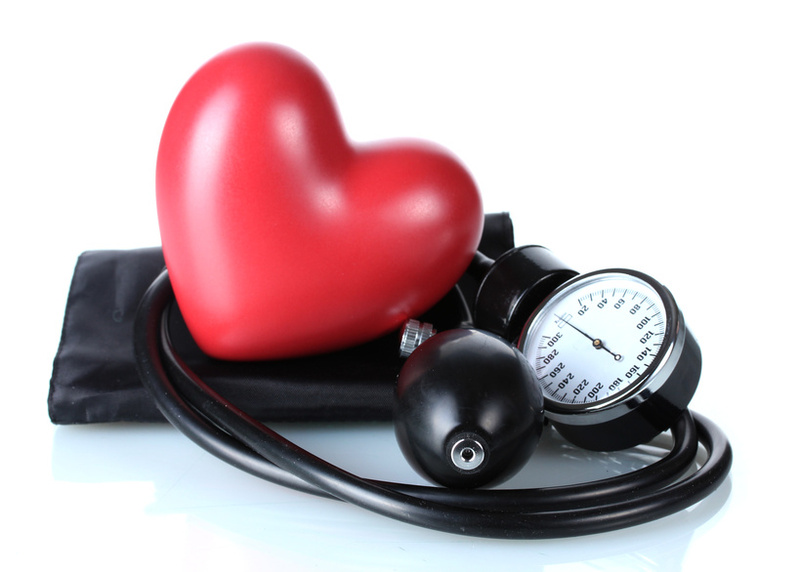 If your blood pressure is slightly more or less than 120/80, there is nothing to worry about. But when it goes up to say, 140/90 and stays around there, there’s a possibility of hypertension. High blood pressure makes itself known through headaches, a sense of fatigue, dizziness, sore eyes, blurry vision, breathlessness and irregular heart beats. If any of the above applies to you, now is a good time to get your blood pressure checked and take action based on what you find. Treatment options usually include medication, but the best remedy is a complete lifestyle change that makes a habit of healthy eating. In a word, yes. Not only can you treat it, you can also prevent it. First, get your blood pressure checked. Next, it is time for action! Since I am partial to treatment that involves natural methods, let’s look at the various ways you can use diet and lifestyle changes to control your blood pressure and keep it balanced. Diet can have a major impact on your blood pressure and following a healthy diet is a great starting point. Eat a balanced diet with small regular meals instead of three huge ones. Include variety in your food When you shop, make a list of foods from all food groups. Examples are wholewheat products, brown rice, vegetables and salads, lentils. Get a lot of vegetables and salads on a daily basis. Include as much color through veg and fruit in your diet. Foods like dried beans, chick peas, lentils and soy are low-fat and rich in protein and fiber. Include animal fats if you are a non-vegetarian. Cut down on fats Minimize butter and oil and go for foods with essential fats. These include avocados, unsalted nuts, seeds. Learn more about good fats, bad fats. How about liquids? Drink lots of water every day. You can also dilute fruit juice for variety. Then there is herbal tea. Restrict your coffee and tea intake to two per day. Alcohol – you know what to do. Caffeine and alcohol raise your blood pressure. Exercise An active lifestyle builds the foundation for a healthy life. Don’t make excuses to avoid exercise. Even if you can’t set aside time for exercise every day, try and walk as much as possible. Here are some heart healthy exercise tips. So are you wondering – why is hypertension called the silent killer? The truth is, high blood pressure is a condition that can exist without one being aware of it. It is a serious condition that can cause early death. Worse still, it can cause disabilities by being responsible for stroke and heart disease. Untreated hypertension can result in blindness, kidney disease and heart failure, besides putting you at risk for another silent villain, diabetes. Don’t ignore hypertension. It is like a ticking bomb, literally. Very useful. I better take note of a lot of things (I follow them already, but a refresher course never hurts) for my husband has hypertension. Thank you, Shail. High BP is partial to aging. 😀 I found myself making mental notes as I wrote this post! Thanks for the extremely valuable read. Hypertension is such a common killer these days that its always better to be aware and prevent it rather than cure! Thank you, Apala! Cheers To your health! You’ve done one of the best things ever by cutting out salt, Corinne! I find I am able to more or less live without it, too. Yes, pickle is a big temptation. I am trying to focus on curry leaf, pudhina and coriander leaf “thokku” you know – the wet version to keep my taste buds happy while adding to my health. Thank you for commenting! This is definitely something I can use! A couple times in the past couple years my BP has shot up dangerously high (190/125ish) and I was put on medications. Within a short amount of time (less than a month) I was feeling exhausted and it took me a couple days to realize that my BP was going too far the other way with a very low dose of medication (98/40ish) so I stopped taking the meds and my BP is about 125/75 now pretty regularly. So glad your BP returned to normal, Brenda! Sometimes, medication can aggravate a condition. It is important to let your doc know if it is prescription medicine as they can offer alternatives. You know, recently my father in law collapsed after a dental surgery. His diabetes awoke with new force and he was advised insulin and a long list of other medication. After a month, he simply stopped the insulin shots and his blood sugar kicked back to normal. He was lucky, though, I think. I’ve heard of cases where they were not so lucky. Thanks for coming by, Brenda! I enjoyed your post! I on the other hand have very low blood pressure 90/60 was my last reading. It is so important as your great article points out that we manage our health and especially blood pressure. I would encourage anyone who hasn’t had an artery check to do so and make a conscious effort to do so now. Thank you, Jacqui! I used to suffer from low BP, but it seems to have balanced out now. I am conscious about eating healthy and being active. Our doc advises an annual health check to make sure we’re safe and not sorry. Thank you, Kajal! Sweets are not so bad. Balance it off with healthy alternatives. Rather than avoid, cut down. it is easier that way 😀 Gosh, I am lucky I am not fond of sweets! That is a hoard of useful info! I happened to read somewhere that if you reduce your weight, your BP inches towards the normal range. My family has a history of high BP, but strangely, my ‘normal’ is low, whatever I do, it just stays below that range. Hi Bhavya! BP is a funny thing. It can be the cause of another condition or the outcome of an existing condition. Weight control keeps a number of health issues at bay. You read right about BP being under control with weight control. Unless, of course, there is a chronic condition. Our body is such an amazing package! 😀 What a great feeling to have the last laugh when it comes to our health! thank you Princess! I had high blood pressure and I was overweight and stressed out. Before, it could turn into anything serious, I took a break, learnt to breathe and to deal with my stress levels. I’m fine now and I know that when I do get back to my job in a few more yrs, I will know how to deal with stress and hypertension! I am so glad you took a break, Hema. Stress is a demon, picking up many health conditions as it increases. Do look after yourself! Vidya in my family there is a long long line of high bp patients. I lost my mother to it, thats another story. But you have no idea how correct the term is “silent killer” Its repercussions extend almost upto all organs and once can never judge it has gone over the danger side. Thanks for sharing the basic things that we all can incorporate as a cure and more importantly as a prevention. Hugs, Richa! Hypertension is known to cause internal sepsis and one never finds out until it is too late for the doctors to treat it. Do take care of yourself – there are easy ways! Hi GiGi! I remember salmon being listed in the hypertension diet! You’ve got a great plan to fight off HPT! I am generally a healthy eater. My challenge is getting my kids to eat healthy. I appreciate this post on hypertension. This information is something that could come in handy for all of us in these stressful times. Hi Cynthia! I get what you mean. I used to be frustrated about healthy eating – we have had my nieces grow up with us and then, of course, I had my own Vidur. I realized that children mostly only know what we give them. I used the tactic of “this or that” – so that they made the choice. The trick is to offer healthy choices – and of course, available choices. Also, explaining why makes a big diff instead of just expecting them to eat it. At least it is easier with kids. 🙂 Convincing adults is the big challenge! Thank you for your comment. Do look after yourself. Being Mommy can be so tiring! Informative. I had to cut on salt after I developed water retention as a side effect from a medicine I need to take. High BP is really dangerous though. And combined with diabetes, it can be fatal. People having both diabetes and high BP become susceptible to brain aneurysm. I lost my mom to this condition. Was able to blog about the entire experience many years after her death. That post is here, if you’d like to read it. My Mom’s dietician once told us that salt is an acquired taste and we can easily cut down or substitute its flavor with other things like herbs, garlic, etc. High BP is indeed dangerous because the heart is responsible for blood flow balance and when that gets upset, anything can happen. In fact, diabetes-hypertension-kidney function are a vicious cycle, Chicky. I am very sorry to hear about your Mother. Heading over to read your post now. hypertension runs in my family, I should probably make some lifestyle changes to prevent it. Now is the time, Erica. The terrifying part of hypertension is its stealth! Thank you for visiting. Thanks for this information, Vidya. Sometimes I find myself quite scared of today’s diseases. I guess I need to keep my head above the water. Thanks for sharing. useful Information. You’re welcome, Kalpana. Thank you for commenting. Nice tips, Vidya. I do a lot of medical reading even for my work. Good thorough article! I know someone who died of Hypertension.. Too young… Sad that people don’t understand how deadly Hypertension is..
Amazing post! The spices like oregano, basil leaves, pepper and fennel seeds contain necessary ingredients that controls hypertension. I use them in cooking to enhance flavor and keep the blood pressure in control. Wonderful write up… Hypertension is known to cause internal sepsis and one never finds out until it is too late for the doctors to treat it. If one follow the tips mentioned above, there are easy ways! I found your blog through the A-Z Theme Reveal tour. On the topic of hypertension and smoking. I am only going on my second week of no cigarettes and already my blood pressure is back to normal.